We are so excited to announce a super cool contest that we have going on right now. 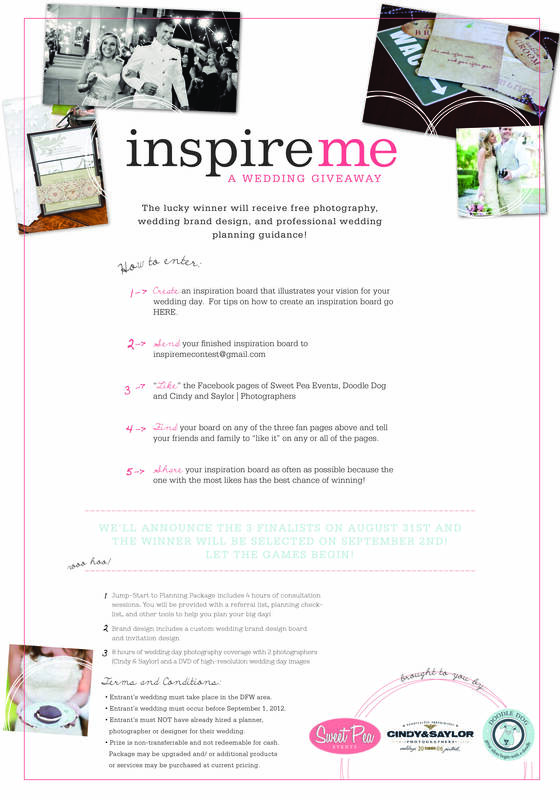 We have partnered up with Doodle Dog Creative and Cindy and Saylor Photography to create a wedding giveaway. What we want from all of the engaged couples out there is to create an inspiration board for your wedding. From there we are going to select the most popular board based on the amount of “likes” on Facebook. 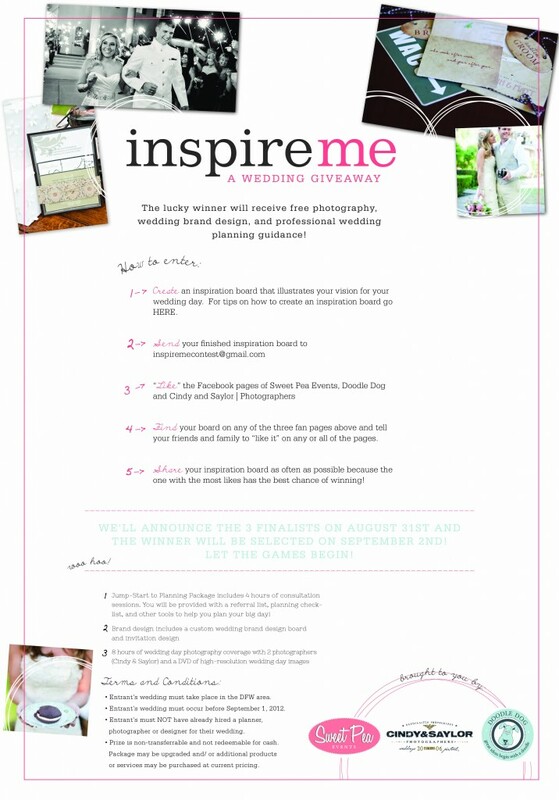 The winner will then receive a planning package, a design package, and a photography package! For more information and all the details check it out below! We look forward to see what you inspire us with!